Yesterday was nothing less than a dream come true. Kimberly Wilson and Le Beau brought their Tranquility Tour to Greensboro Community Yoga. The studio was full to the brim of beautiful inspiring women, full of passion, experience and dreams. We set intentions, learned mindfulness techniques, art journaled and did a bit of yoga. These afternoons of putting dreams, goals and intentions on paper always leave me inspired and ready to share. If you missed this afternoon of creative play and want to join us save the date for an afternoon of Art Journaling and intention setting at GCY with me December 15th 12pm-3pm. More details to come soon. 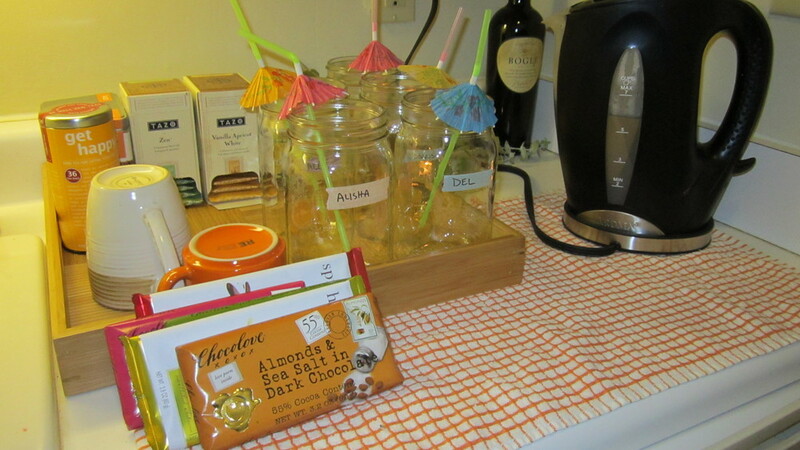 Hot tea, special glasses for each guest, wine and of course dark chocolate. 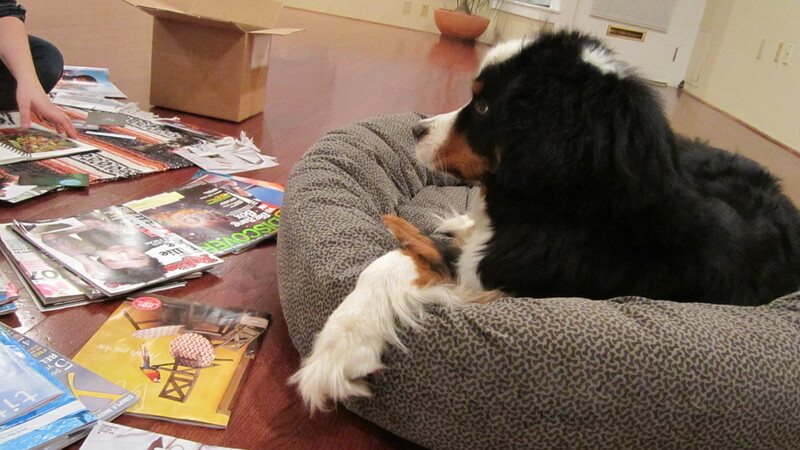 Max came to help out.... He's good at moral support. Special goodie bags for each guest. 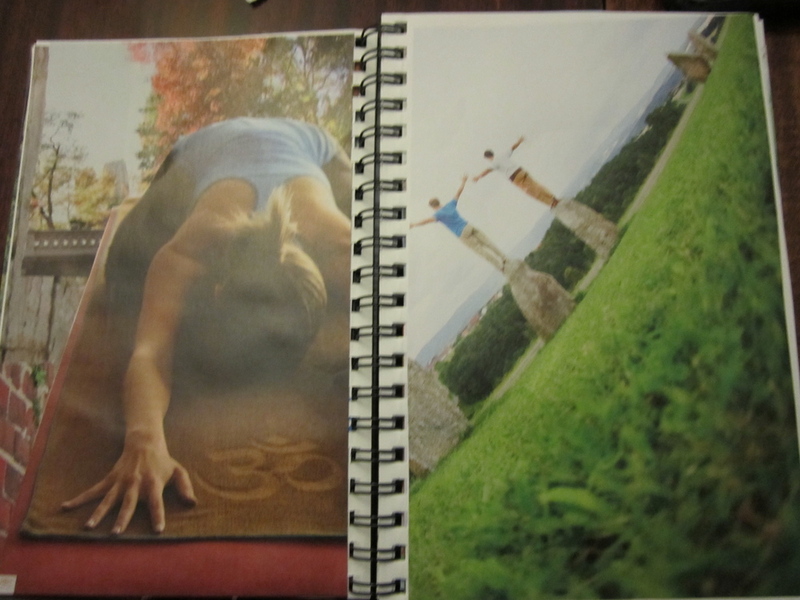 Additional Pages for my Journal. Ever since I came back from Kimberly Wilson's incredible Spring retreat, I've been doing a ton of art journaling. A Blog reader/friend asked that I do a post specifically on art Journaling and how it works exactly. I thought that was a great idea. Because I'm working on an e-course about "Creative + Conscious Business" I wanted to make sure I had a dedicated note-book just for my business notes. Logically speaking this meant that I needed to start another art journal! It gave me the opportunity to document the process (or at least my process) a little better. This will mainly be a picture blog with supporting notes to help you along. 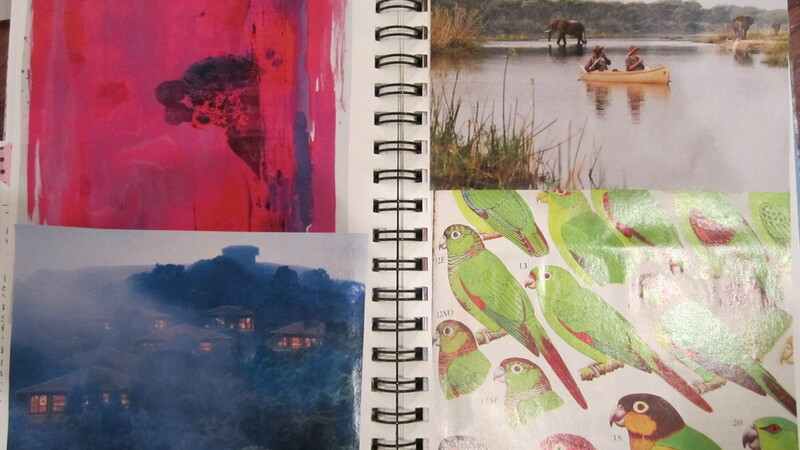 I'll be offering art Journaling evenings at the studio a few times a year, if you are interested let me know. 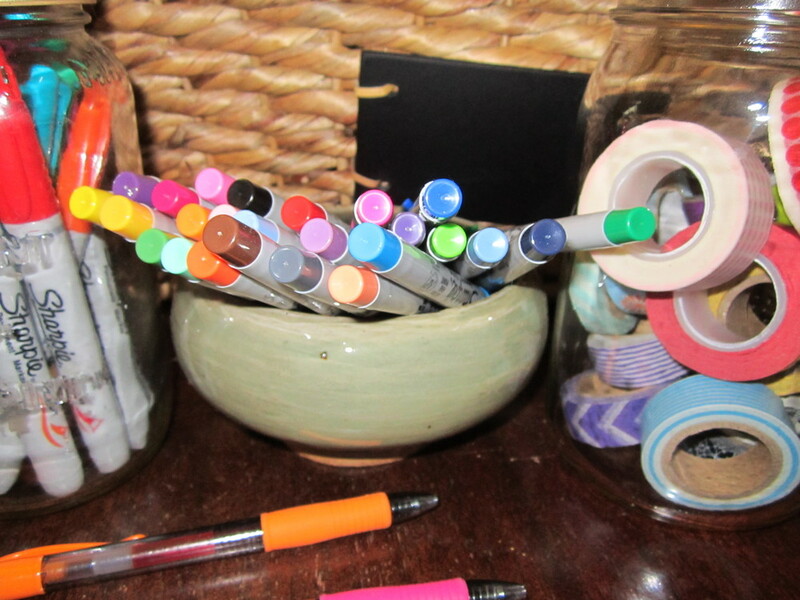 I start with lots of supplies, like the colorful tape and the sharpies above. It's great to have lots of fun types of paper, stickers, tape, masking tape, and lots and lots of glues sticks! 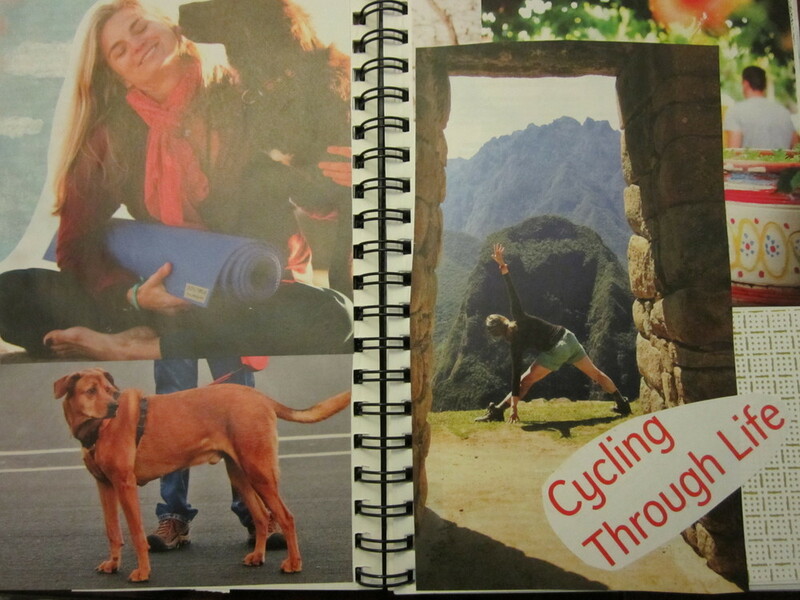 Visit your local art store or Michael's, visit the scrap-booking section for innumerable ideas! Then you leaf through the magazines and you pull out images that appeal to you for any reason or if you are art journaling a certain theme you'd find things around that theme. It's your journal you do what speaks to you. 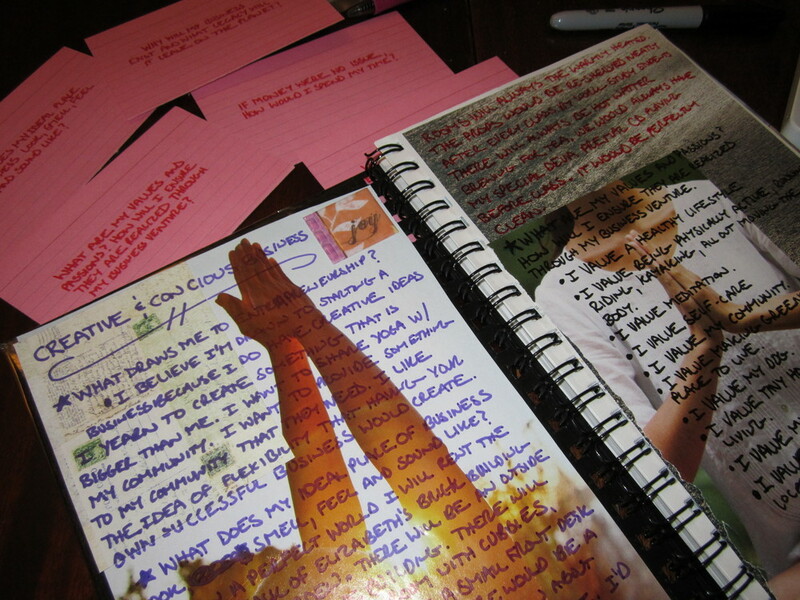 If you were doing your own journal you could find some journal prompts and start writing with sharpies (they really work best) over the images. 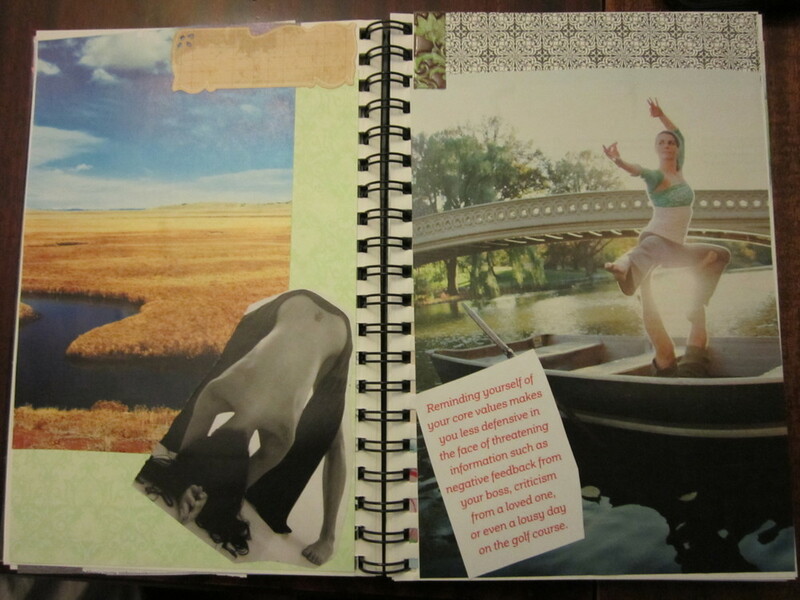 The pages become this beautiful mixed media collage. In this case I'm creating a business journal. I'm working with specific writing prompts about what I want my business to look like and action plans. 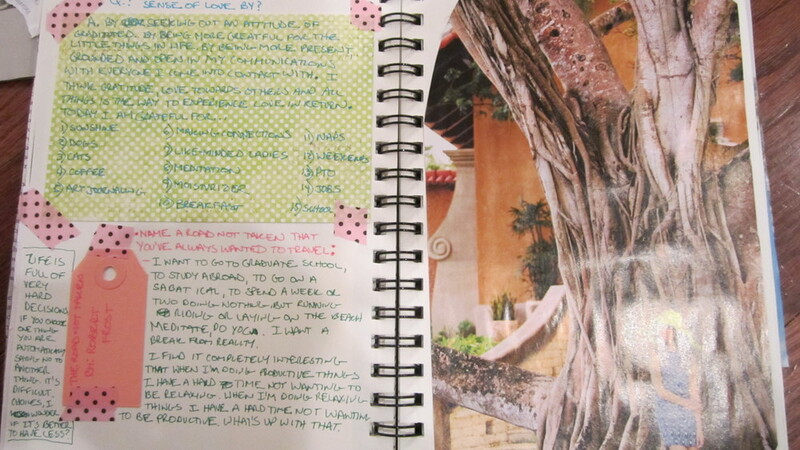 I've even heard of people art journaling a business plan (I wish i had known about that before I did mine last year!!). 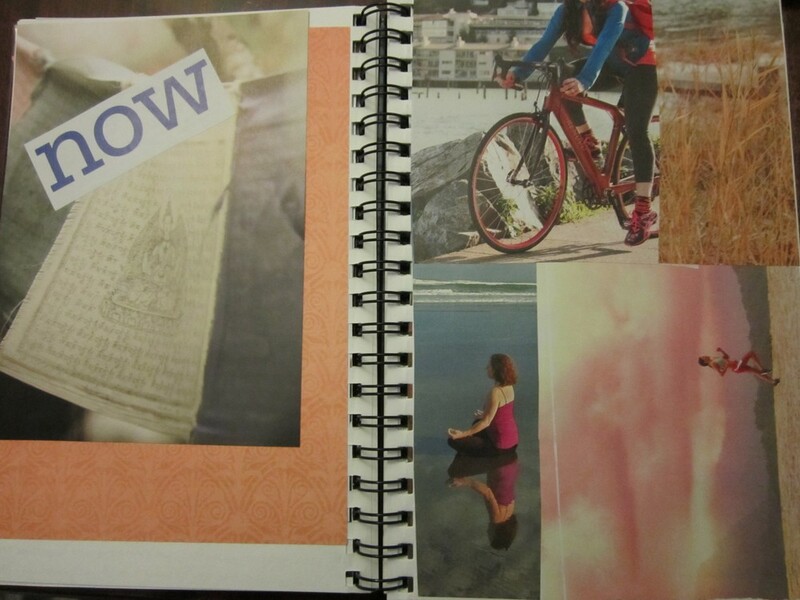 Have you ever done art journaling? If so what do you like best? Share your pictures and experiences with us! I'd love to see what you come up with. 1) If you could tell your College Freshman Self one thing what would it be and why? 2) Are you doing what you love? If so what can you do to keep it up and if not what can you do to get you where you want to go? 3) If money were no problem what would you be doing right now?